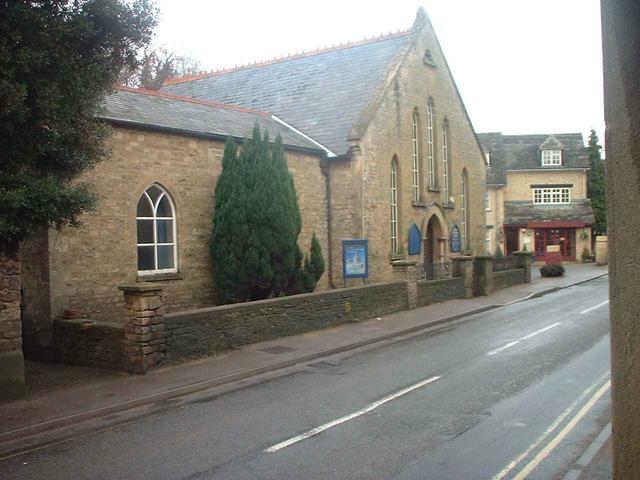 Bladon Methodist Church had not seen any development for over 100 years and the premises were woefully inadequate for the needs of the church and the village today. The church was in desperate need of renovation and had reached a dangerous condition where the Junior Church could no longer continue. Work is now underway to redevelop and enlarge the building to bring it into the 21st century to provide the facilities and space to allow the Junior Church to continue and to provide a new community facility for the village. When work started we had raised £360,000 which was the original cost estimation of the scheme based on a site compound at the rear of the premises. However we were unable to negotiate access to this area for our contractors. The work took place using the front of the building but due to the restricted nature of the site and the lack of space, the time scale and costs rose to £420,000 + VAT. We were forced to start work before several time dependent grants expired however thanks to a substancial loan the first phase of the building work has been completed and the church now re-opened. We have a new main entrance, inside toilets, brand new kitchen, central heating and a whole new second storey, doubling the floor area of the building. We are now raising funds for phase 2 of the project which is to refurbish the main worship area. Our aim is create a state of the art flexible multi-purpose hall with a larger worship and performing space, more room for congregations and audiences and improved technical facilities. We would be extremely grateful for any contribution, large or small. The names of all individuals or groups making a donation will be recognised on a plaque inside the new building. However if you feel able to donate in excess of £200 then we would also be delighted to add your name to the Hollywood style Walk of fame in the pavement in front of the church. ​You can donate by bank transfer to Bladon Methodist Church, sort code 20-98-48 account number 70178101. If you do a bank transfer then please e-mail us so we can acknowledge your kind gift and also to let us know the name you would like on the plaque or stone. Alternatively you can donate online by clicking the donate button below. When checking out please make sure you fill in the "enter your name here" field with the name as you would like it written on the plaque or stone. If you would not like your name included then simply leave this blank. If you change your mind at any time about what you would like written then just e-mail us. If you are a tax payer then you can gift-aid your donation. This means we can claim an extra 25p for every pound that you donate. Please download this form and return it along with your donation. Alternatively please fill in an online declaration. We have registered at Easy Fund-Raising to help raise funds. Whenever you buy anything online we could be collecting donations to help our church at no extra cost to yourself. There are over 3,000 shops and sites in the scheme including Amazon, John Lewis and Sainsbury's. Please go to easy fundraising and join for free. Then whenever you shop online, go to easy fundraising first to find the site you want and start shopping. You will shop in exactly the same way but the retailer will give us a percentage of what you spend. You may also wish to Sponsor a Seat - we have purchased 50 deluxe seats for use in the new building.